Thank you for using MetricSpot's products and services. The use of this website implies the acceptance of each and every one of the Terms of Service on this page. We want you to read these Terms of Service, therefore, they are written in such a way that they can be understood by everyone, without having knowledge about laws or knowing specific legal terms. MetricSpot offers a wide variety of products and services, so sometimes additional conditions or requirements can be applied that could replace, complete or modify these Terms of Service, and which will be informed in each specific case. Dicho fichero está alojado en los servidores de DigitalOcean, LLC. Los servidores están localizados en Londres (Reino Unido). Adicionalmente, para comunicaciones de caracter informativo y comercial, utilizamos una lista de suscripción cuyos datos gestionamos utilizando la plataforma MailChimp. En la pasarela de pago se piden datos de tu tarjeta bancaria o cuenta de PayPal. Te informamos que nunca guardamos estos datos. El uso de los datos facilitados se limitará al control de acceso a nuestra plataforma, facturación y, en caso de que contemos con el consentimiento del usuario o cliente, para comunicaciones ocasionales de caracter informativo y comercial. You may need to open an account with MetricSpot to use some of the products or services on our website. You can create your own MetricSpot account or you can be assigned one by the company for which you work. If you use a MetricSpot account assigned by your company, different or additional terms may apply, and your administrator might be able to access or disable your account. You can close your account at any time and your data will be deleted. If you detect an unauthorized use of your account or password, get in touch with us. Some pages of this website allow the sending of your personal and contact information. Your personal contact information (e-mail and phone), passwords, as well as tax information (ID card, bank accounts and credit cards) that you provide will not be published on our website and will never be shared with third parties. For us, the security of your data is very important, so access to your MetricSpot account is password protected. If you lose it, you can only recover it using the automated password recovery procedure on the "access" page, by clicking on the "I forgot my password" link. The password will be sent to the contact e-mail of your profile. Some non-confidential information you provide may appear on your MetricSpot profile. These data are the username, your description, avatar (image), location, services offered, services demanded, prices and rates, among others. If you do not want them to appear on our website you can delete them at any time. You must guarantee that the information, images, contents and observations that you provide do not infringe the Intellectual or Industrial Property Rights of third parties, nor any other legal provision. In no case will MetricSpot be responsible for the legality, truthfulness and accuracy of the data provided. It is your sole responsibility to notify MetricSpot of any changes that may apply to them. Also, as long as we have your consent, we will use your contact information to perform satisfaction checks, as well as to send information regarding products and services provided by MetricSpot, using it for this purpose until expressly stated otherwise. MetricSpot will always keep confidential the personal data and will take the necessary measures to avoid its alteration, loss, usage or unauthorized access. You can exercise your rights of access, rectification, cancellation and opposition by filling out the following contact form. - The user and language preferences you chose on our website. - Your navigation path on our website. - The website from which you arrived to our site. You have the option to prevent the generation of Cookies, by selecting the corresponding option in your browser. All contents of our website, unless otherwise indicated, are the exclusive property of MetricSpot, including, without limitation, graphic design, source code, logos, texts, graphics, illustrations, photographs, and other elements that Appear on our website. Likewise, all trade names (own or third party), trademarks or distinctive signs of any kind contained on our website are protected by Law. At MetricSpot we support the free circulation of information. Therefore, we grant the Creative Commons Attribution-ShareAlike license for personal and commercial use of the content on this website and the product and services offered on it. We recommend that you follow the link to the license and read it carefully. 1. Attribution: You must report that the content is extracted from the MetricSpot's website (but not in a way that suggests that you have MetricSpot's support for generating your content or that MetricSpot supports your use of it). 2. Share under the same license: If you alter or transform the content, or you generate another website or document based on the content on our website, you can only distribute it under a license identical to this one. At MetricSpot we understand that websites are to be used by people and APIs are to be used by machines. Access to our website and its content by automated means (scraping, parsing, spiders, bots, etc.) is not authorized, and MetricSpot will take the necessary measures to temporarily or permanently block IP addresses that show "non-human" behavior. If you want to use the data from our website in your own applications, you must use our API. You must not use this website in any way that could damage, disable or impair our website or its services, or prevent its use by other users. Likewise, you must not destroy, alter, render useless or otherwise damage data, programs or electronic documents and others found on MetricSpot's website. You should not obstruct the access of other users to the service by massively consuming our server's resources, as well as taking actions that damage, interrupt or generate errors in it. You should not introduce programs, viruses, macros, applets or any other logical device or sequence of characters that are likely to cause any kind of alteration in our website. Some of MetricSpot's tools allow you to generate reports of other websites. The reports are generated automatically at the request of users and using free access data on the Internet, extracted from the website itself and from other third party services. Although we are following website standards, we are up to date with Online Marketing techniques and we continuously monitor our application, we can not offer any guarantee that following all the optimization guidelines you will get more conversions. In addition, any valuation or score that appears in the report is not determinant, it is a subjective valuation by MetricSpot. If you find a report of your website and you did not generate that report, surely another user generated it. The reports are generated with data extracted from the pages of publicly accessible websites, therefore it is information that is open and available to everyone. It is not a question of personal or private data, so MetricSpot has no obligation to treat them as such or have the obligation to delete them at the request of the user. The "Qualified Professionals" section allows you to get in touch with other users to offer/demand services related to website development and digital marketing. MetricSpot only provides the social platform to put users in touch but does not take part of the commercial agreements, contracts or transactions that can be carried out between them, nor obtains any benefit for them. Our website allows users to evaluate and comment on the quality of the products and services offered by other users, so we recommend that you inform yourself appropriately (both through this website and through other means) before contracting services with other users. At MetricSpot we care about the quality of the services that users offer through our social platform. If you detect any irregularities in the service that you have contracted with another user get in touch with us and we'll take measures. In any case, neither MetricSpot nor its partners, companies of the group, collaborators, representatives or employees are liable for any damage or prejudice that may have been made by other users or third parties, regardless of whether you have known them through our website. The links or links contained in our website can lead you to other websites managed by third parties. 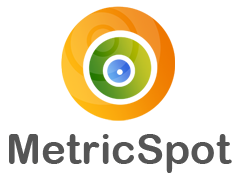 MetricSpot declines all responsibility for information that is outside our website, since the function of the links that appear is only to inform you about the existence of other sources of information on a specific subject. MetricSpot is not responsible for the correct functioning of such links, the result obtained through said links, the veracity and legality of the content or information that can be accessed there, as well as any damage that you may suffer using the information found on the linked website. Some pages on this website may contain advertisements, advertising content or sponsorship. We only accept advertising suitable for all audiences and specifically related to the website development and online marketing sector, business and related topics. We also use external ad management services such as Google AdSense and DoubleClick, so we are not always able to control which ads appear. Advertisers and sponsors are solely responsible for ensuring that the material submitted for inclusion on our website complies with the laws that may apply in each case. MetricSpot will not be responsible for any error, inaccuracy or irregularity that may be contained in the advertising content or sponsors. In any case, if you believe that the advertising contents inserted in this website are not suitable, you can get in touch with MetricSpot and we will take action as soon as possible. MetricSpot constantly changes and enhances its products and services. Therefore, we may add or remove some functions, or suspend or cancel a service altogether. Although we would regret if you do so, you can unsubscribe from MetricSpot or stop using the services at any time. Likewise, MetricSpot may stop providing you with services or add or create new limitations at any time. We believe that you are the owner of your data and that it is important to preserve your access to it. If we interrupt a service, in cases where it is reasonable, we will inform you sufficiently in advance and we will allow you to extract your information. MetricSpot excludes any liability that may arise from interferences, omissions, interruptions, computer viruses, telephone breakdowns or disconnections in the operation of our website, caused by external issues. Likewise, MetricSpot also excludes any liability that could be caused by delays or blockages in the functioning of our website caused by deficiencies or overload of the server, as well as of damages caused by third parties through illegitimate intrusions beyond our control. Although our website is always active, sometimes we will have to temporarily suspend, maybe without prior notice, accessibility to our website due to maintenance, repair, update or improvement operations. If you can not access a function or you detect a bug in our website, fill out this contact form and we will fix it as soon as possible. We offer our products and services with a level of competence and reasonable diligence. However, we can not offer guarantees regarding some aspects. MetricSpot offers no warranties regarding the content of the products or services we provide, their specific functions, reliability, availability or ability to meet your needs. Some jurisdictions provide certain warranties of merchantability, suitability and non-compliance. To the extent permitted by law, MetricSpot excludes all warranties. The user is solely responsible for any infractions that may be incurred or any damages that may be caused by the use of our website. Neither MetricSpot nor its partners, group companies, employees, representatives or their employees will be liable for loss of profits, loss of revenue, loss of data, financial losses or other types of damages due to the use or lack of availability of the products and services offered on this website. MetricSpot reserves the right to modify, expand or update at any time and without previous notification, the Terms of Service of our website or any specific Conditions of Use of any product or service offered. We recommend you to check them periodically. If you do not accept the modified conditions of a product or service, you must stop using our website or close your account. In case of conflict between these Terms of Service and other specific Conditions of Use, these Terms of Service shall prevail over the specific. In the event that a particular condition is not mandatory, the remaining Terms will not be affected. These Terms govern the relationship between MetricSpot and you, and do not generate any rights that may be a third party beneficiary. We have tried to be as clear and concise as possible. However, if you have any questions about these Terms of Service or wish to contact MetricSpot, please fill in the contact form and our legal department will be happy to help you.